The dry winters in Minnesota create problems I’m not used to — extra dry skin and dry eyes. Staying hydrated just with water doesn’t appear to work as I drink lots and lots of water and even then, my eyes get dry and the Systane (an eye lubricant) that I use has to be used frequently. So — how does one stay hydrated in Minnesota? I found a product for dry feet that works really really well. 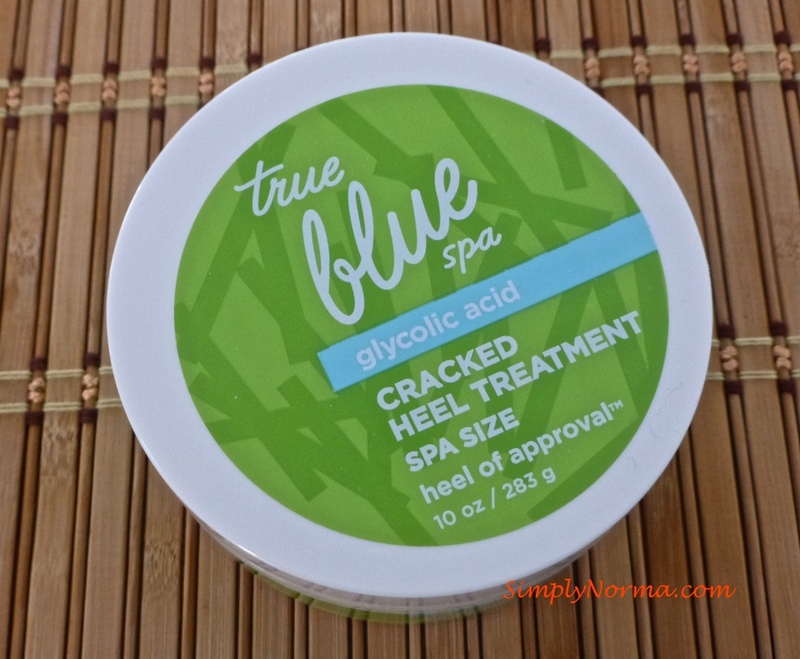 It can be purchased at Bath and Body Works and is called True Blue Spa. It’s used mainly for cracked heels/dry feet. The container I purchase is 10 ounces and costs $20.00. A tad expensive, no? I usually find a two-for-one coupon so it’s $10 instead of $20 on sale. Other things I use that I find helpful are Aveeno (for general skin care) and Oil of Olay – Sensitive Skin (for my face). A warm wet towel on my eyes at night is also helpful. I can’t wait for this cold weather, that has been with us since the end of November, to go away. Last year winter lasted through April. Bleh.